The PSC PowerScan 7000BT has been renamed to the Datalogic PowerScan 7000BT. 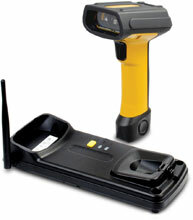 Rugged, Industrial design and a 328' wireless range make this Imager an unbeatable value. The PowerScan 7000 Standard Range Linear Imaging Scanner (SRI) has been designed from the ground up to be the most rugged, durable and reliable industrial handheld scanner on the market. It is perfect for package handling and tracking, warehouse applications, shipping and receiving, manufacturing shop floor and other demanding applications. 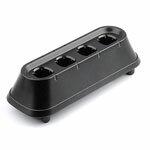 The overmold covers all of the likely drop contact points, adding an extra degree of shock protection for the scanner. In fact the scanner can withstand 50 drops of two meters (6.5') to concrete. 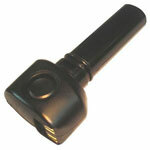 The scanner is sealed to dust and water at an industry leading IP65 rating. It can operate between -30ø C and 50ø C. These specifications are not surpassed by any competitive scanner.